Too much rain for too long a time created a literal jungle in my yard that I could not mow with my non-motorized reel mower. The young man who used to mow my lawn is now in college and is busy with dual degrees and working other jobs to help pay for college. What to do? Well… my choice was a good one! This little mower cut right through the forest. Of course, it would be an easier job if I were 5’9” and had muscles and strength. But, considering my size and minimal strength, I am very happy with the job the mower is doing for me so far. 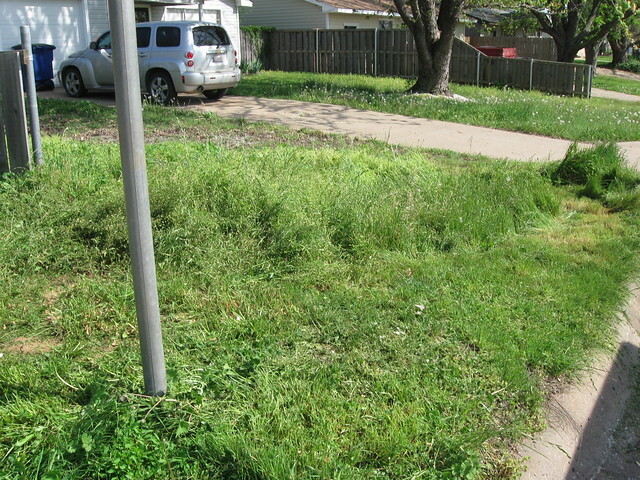 Street side yard after a couple of runs with the mower. The mower has a bag on the back, but I had to hitch it up to the highest height measurement to get through the mass. (This mower has eight height adjustments. Woo! Hoo!) That’s why some of the clippings escaped from underneath as I was mowing. I pushed the mower into the tallest jungle in the side yard so you can see how tall the jungle is in places and the incredible situation I had to deal with. 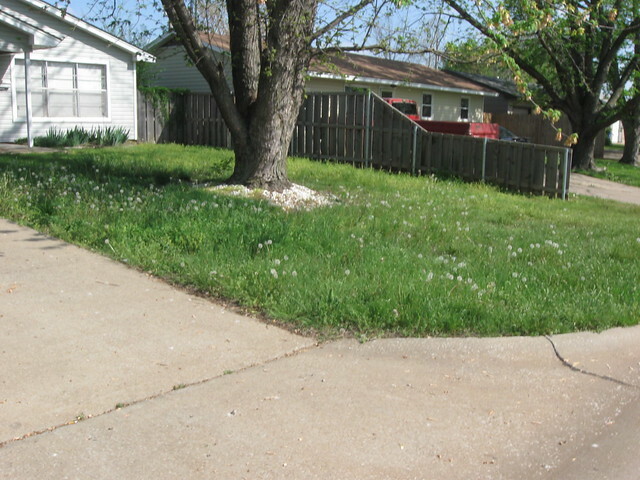 The main front yard isn’t nearly as tall or dense. Thank goodness! However, the back yard is going to be a real ordeal, I’m afraid. The picture doesn’t really show just how high or dense this is. I haven’t tackled that part yet. When I was researching, I found some small electric mowers that were 6.5 amps. But I thought I would probably need a little more power, so I got the 12-amp. I’m not sure the 6.5 amp mower could have done the job that this little guy is doing. I don’t have to deal with gas or oil. I don’t have to try to pull on a chord to get it started. I just plug it in, press a start button, and lift up on the engager bar. It includes a mulch plug and a side-discharge chute if I want to mulch or just let the clippings fly when the grass is shorter. I’m using the collection bag right now since the grass is so tall. The collection bag is super simple. The front of the bag has two bars that fit easily right into slots on the back discharge chute. The top of the bag has a handle to grab to help lift and manipulate the bag. The mower didn’t quit on me even once. It even sliced through a soda can that I didn’t see to remove from the tall grass. I’m still working on figuring out the best way to deal with the electric cord that follows me everywhere like a giant snake. I’m so afraid I’ll run over it and slice it that I keep stopping to move it around. But I’m sure I’ll figure out a good process at some point. It will take a few days to get through all the front and back yard – not because of the mower but because of the heat and my limitations. But since I have to do this myself, I’m really glad I found this small super trooper. Disclaimer: No compensation has been promised or provided by Lowe’s for references to products in this post or for this review. This entry was posted in Aging & Changing, Eccentrically Eclectic and tagged grass, karaoke, Lowe’s, mowing, Row Row Row Your Boat, Task Force electric lawn mower, wild onions, yard. Bookmark the permalink. 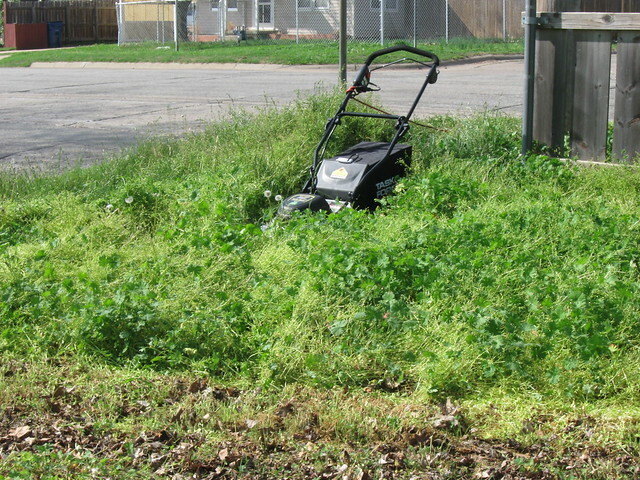 21 Responses to Little Task Force Electric Mower is a Trooper! I “happened” on your site while looking up information about this little mower to put it up for sale, as I inherited it in a round-about way and already have 2 gas mowers. Now I’m re-thinking this decision! As an older person, it might be an easier way to go! 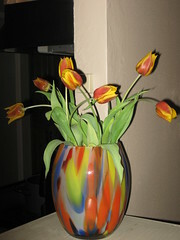 Thanks for having the blog here for me to stumble over! I enjoyed the words and the pictures. 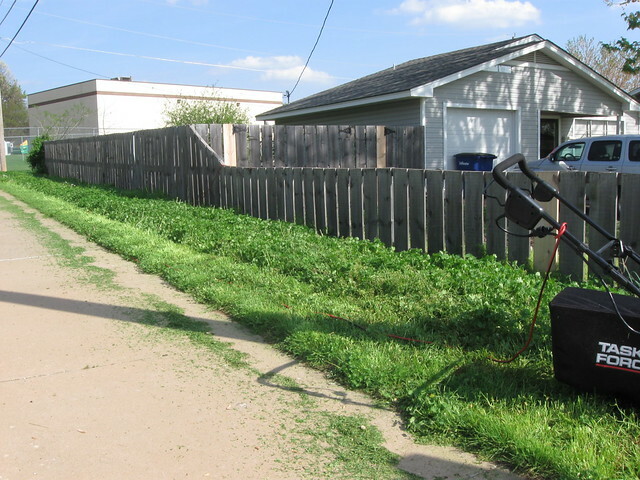 I have always used electric mowers (started in the early 1950’s). You will need a 100 foot extension chord (Red & Black). I sure find them easier than using gasoline mowers. The problem I had with this mower is that the switch broke. If this happens, get a handyman to install a wall switch in a metal box and attach it to the top of the handle. 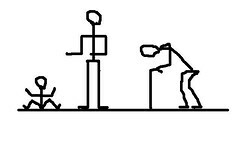 He will be able to figure out how to do this. The first mower from Sears that i used for over 25 years, had an ‘in line’ switch something like what i am recommending for you. I am now going on 76 years and still find electric mowers the better choice where you have a place to plug then in. I really love this site. Help me a lot for me choosing the best electric lawn mower. Thanks! 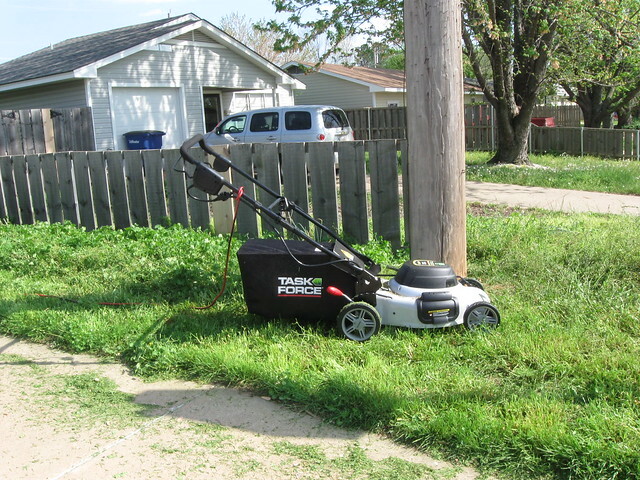 Hello and THANK YOU for the info above re Task Force electric lawn mower model 25113. I have this mower and have found myself needing the power button/switch assembly (more precisely: the same black plastic broken piece that attaches by screw to the metal safety handle inside the assy that another person mentioned needing in a previous post here). I found the part online; thanks to you/your fellow posters, and wanted to share in hopes of speeding the process for the next guy/gal. Does anyone know how to find part # 31103227, Upper handle assembly for this mower? The switch does not turn on because the bail bar has broken the plastic part that it fits into inside the switch unit. A replacement for that black plastic part would fix the problem. I have searching for more that 2 hours for parts for this mower and cannot find them anywhere. Lowe’s no longer handles this brand of mower, and I am not sure that it is made anymore. Contact Lowe’s Parts Dept. (for replacement Parts) you are likely to get a new upper handle section which includes a new switch. A BETTER solution is to use a 15amp wall switch and mount it on the old handle. Great video blog. Love how the mower really took care of that yard! Must be a pretty strong piece of equipment! Thank you for visiting my blog, Sal. Yes, it’s a good little mower! Just bought myself an older version of this lawnmower. 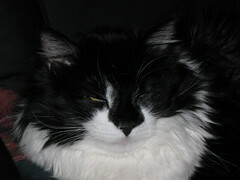 Not much older, 2007 I believe. 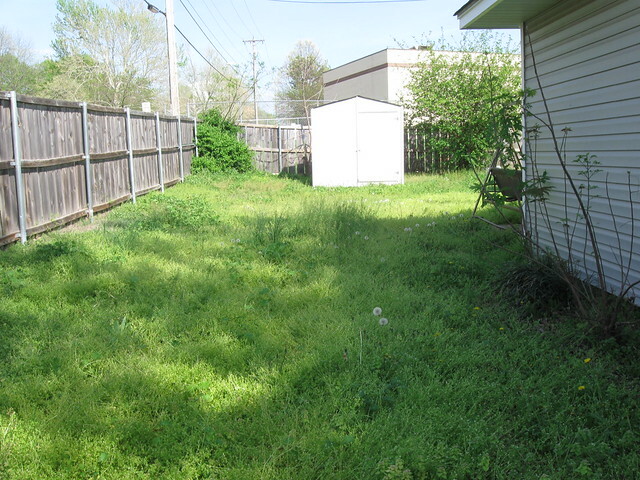 I have a huge yard and had the same problem as you with overgrowth. To my surprise it cut through everything with little effort. I was skeptical at first because everyone was telling me that electric mowers are terrible but I saw no issues with it aside from making sure you don’t run over the cord. And even then once you figure out how to mow in a certain pattern you can avoid it completely like it wasn’t there in the first place. Definitely recommend the simplicity of electric over the messy and loud gas powered mowers now. When it comes to cutting there really isn’t a difference between them. Hi Darlin’! I’m so glad to see your name popping up here and there. For some reason or other, I haven’t been getting the notices in my e-mail box until just now, so I’m catching up on the reading of your terrific blog! So glad you are back! Lowe’s is my Hubs’ favorite place to go. Whenever he sees one, our car automatically turns into their driveway. It doesn’t say much for me that when I’m driving, the car automatically turns into the grocery store entrance; and then my shopping cart automatically goes to the ice cream aisle! 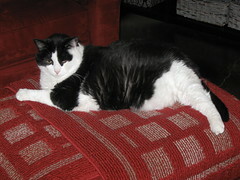 Oh well, now I’ll go back to being “fat and jolly,” instead of “thin and mean.” Some choice. . .! BTW, I wonder if there is a gadget for electric mowers, attached to the handle bar, that lifts it up out of the way.as you go. Sort of like the one that you can get for your iron, to hold the cord out of the way. You might check. . .at Lowe’s! Hey, Paula, Good to see you here! Thanks for the idea about being “elder spokesperson.” My good friend, JoAnn, suggested that too. I could let people know which products work well for the more “mature” person. I’ll have to check that out. I’m thinking the goats are a good idea! And, you’re right. You could convey them. The buyers might really appreciate that. 🙂 Yummmmm….. ice cream! I know the kind of thing you’re talking about for the iron. I haven’t seen something like that for an electric mower, but it’s definitely a good idea. You could hook this big antennae thing to the handle and just walk under the cord when you turn. Hmmm….. Check online for something like that – I will too, and if I find something, I’ll let you know. The only problem I can envision with that is that it would shorten the length of your cord. Good idea! I’ll check, and you let me know if you find something. Great! I’m not a techie re. lawnmowers but when we used to have a huge yard so long lead for mower, hubby used to have a cricuit breaker. A very worth while investment. If you chop the wire…it cuts the elcecticity and you don’t go up in a puff of smoke! Awesome! Maybe your new job SHOULD be a spokesman for Lowe’s for the “older” generation! Hmmm… Now, that’s an idea.